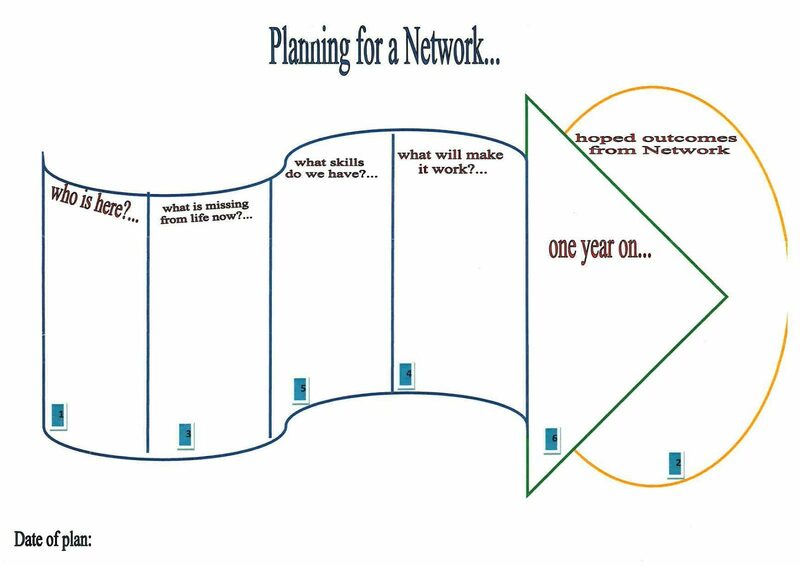 Simply contact us and we’ll meet with you to start planning for a network. The cost of belonging to a Network in support terms has been assessed by Community Connections as $80.00 + GST per week. Each member and their family negotiate how they will allocate funds to make this payment for support. This can be privately funded or through the allocated of DSS (NASC) support hours if the outcomes are consistent with the goals identified in the needs assessment. Community Connections has the contractual capacity to provide Supported Living (2.5 hours per week), Home Based Support of Home Management and Personal Cares (3.5 hours per week). Additionally, personal budget funding can be used. Get to know people first. Everybody help to make things happen. People can teach each other to be good members. Spend time getting the rules right. Make sure that everyone has fun. Use what people are good at in and outside the meetings. Support each other to take control of your own group by doing as much as possible. Be patient. Sometimes it takes time to learn things. Don’t give up on ideas. Find other ways to make things happen. Listen to what people at saying.